Emmy Award-winning journalist, television personality, actress, and TV host, Hoda Kotb is a longtime news contributor and personality for NBC. She was named co-host of the opening hours of the network's flagship morning program, Today in January 2018. Besides, Kotb is also a writer, who wrote the autobiography Hoda: How I Survived War Zones, Bad Hair, Cancer, and Kathie Lee in 2010. As of 2019, the popular media personality is dating financier Joel Schiffman for a long time. Hoda Kotb was born on August 4, 1964, in Norman, Oklahoma, the United States under the birth sign Leo. She was born to Egyptian parents- Sameha Kotb and A. K. Kotb and she lived in Egypt. Her name Hoda means ‘guidance’ in Arabic and last name ‘Kotb’ means pole. At the beginning of her career, she spelled her last name as ‘Kotbe’. Kotb did this to avoid difficulty in pronunciation, after a period she started writing her name in its original form- Kotb. Kotb went to Virginia Tech in the year 1986 for her Bachelor's degree. She graduated from the Virginia Tech in broadcast journalism. At Virginia Tech, she was the member of Delta Delta Delta Sorority. During the graduation at Virginia Tech in 2008, she was the keynote speaker. The famous TV host who appears on the fourth hour of Today has also been a correspondent of NBC’s Dateline. She has also made appearances in many other shows. 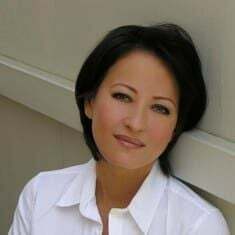 In 1986 she was the news assistant in Cairo, Egypt of CBS News. She worked as a morning anchor and as an assignment reporter for WQAD-TV from 1986 to 1989. After which she was the weekend anchor and reporter at WWL-TV for two years. From 2004-2007, she was the host of the series, Your Total Health. Kotb has also appeared as herself in a number of television shows, including 30 Rock, Law & Order: Special Victims Unit and Girlfriends’ Guide to Divorce. Kotb has won Daytime Emmy Award for Outstanding Morning Program in 2010 and also won News & Documentary Emmy Award for Outstanding Coverage of a Breaking News Story in a News Magazine. As of 2019, Hoda Kotb is considered as one of the prominent figures in the field of media and has also collected a large amount of money from her accomplished journalism career. What Is Hoda Kotb's Net Worth In 2019 And Details About Her Source Of Income? It was announced on Jan 2, 2018, that Hoda became the permanent host on Today and her new salary is assumed to be in the $8-10 million range. She has an estimated net worth of $30 million, according to celebrity net worth. And her annual salary is $8 million, according to the same source. Kotb along with Shelley Adelson donated $1,000, daughter of casino mogul Sheldon Adelson, tossed in $10,000. The data concerning her Insurance is hidden in any social sites. Hoda Kotb was once married to Burzis Kanga. Her ex-husband Burzis Kanga is a former U.N.O tennis coach. They first met in February 14th or in lovers term, Valentine's Day. The couple tied the knots in 2005, in a private wedding ceremony. Interestingly, the couple signed their divorce on the same occasion (Valentine's Day) when they encountered each other for the first time. In 2005, Hoda went through major reconstructive surgery for breast cancer. Kotb has been advocating for breast cancer awareness, her cancer battle has been covered on the Today Show. The story of her successful cancer battle has been documented in the same show. Who Is Hoda Kotb Dating In 2019? Currently, Kotb was in a relationship with Jay Blumenkopf, a lawyer They are often seen together, from Star Wars show to Rangers’ match. The two could not last long and called it quits after a few months of dating when Jay stated that he had no intention of getting married. On 21st February 2017, Kotb also adopted a baby girl, Haley Joy Kotb. She announced her adaptation on the Today Show. Her co-host Kathie Lee Gifford also met her daughter in March 2017. Kathie Lee Gifford is a Daytime Award-winning who currently works as a co-anchors for the Today show. She also took two months of maternity leave and spent beautiful nine weeks with her newly adopted child Joy. 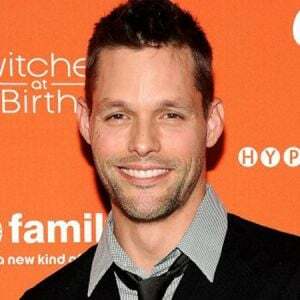 Kotb later started dating Joel Schiffman, is an American financier, and currently, works for an investment firm in New York. It has been reported that the two are still dating and sharing the strong bond of love. The two met for the first time in the summer of 2013 when she was speaking at an event for Wall Street professionals. Kotb has successfully completed four years with Joel and celebrated 5th anniversary together in 2018. She is the writer of two books. Her books are Hoda: How I Survived War Zones, Bad Hair, Cancer, and Kathie Lee, Ten Years Later: Six People Who Faced Adversity and Transformed their Lives. Her first book was New York Times Bestselling Book. Her first book was released in October 2010 and her second book was released on January 15, 2013. She is the winner of Daytime Emmy award of 2010. Hoda Kotb's height: she stands at the height of 5ft 9 inch (1.75m). 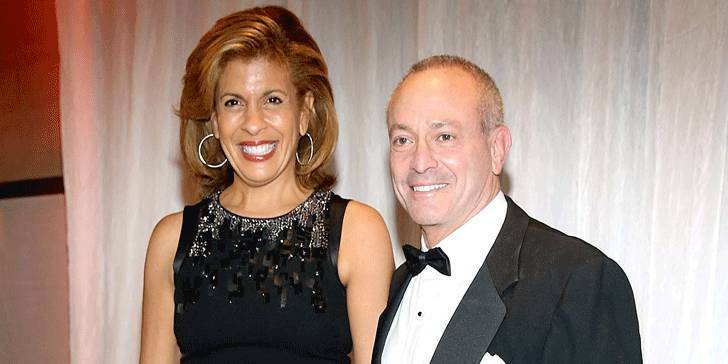 Is Hoda Kotb currently dating Joel Schiffman? Why did her marriage with Burzis Kanga fail?